In 1989 he graduated with distinction from the Academy of Music in Katowice, where he had studied under the guidance of prof. Alina Gruszka. 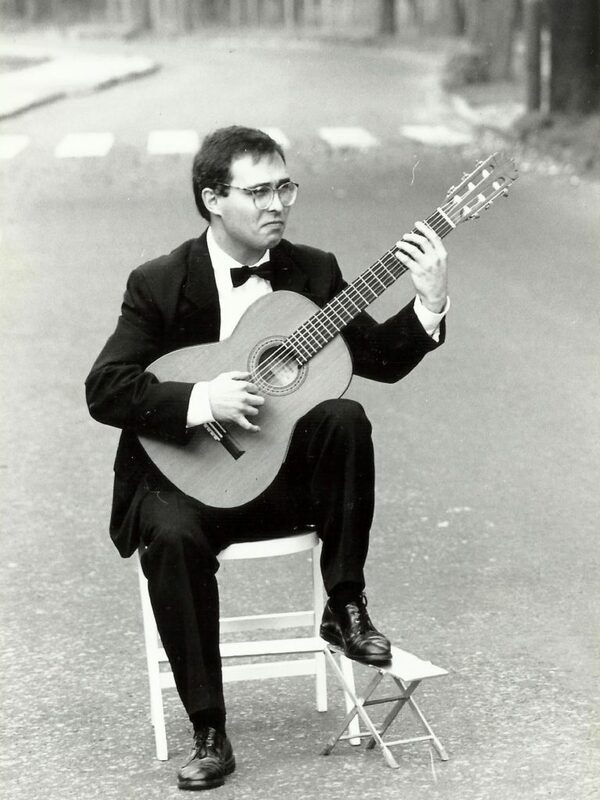 He won many awards in guitar competitions, among which are the following: 2nd award at the All-Poland Classical Guitar Competition in Łódź (1985), 3rd award at the Spanish and Latin American Music Competition in Cracow (1988), a distinction for the interpretation of Enrique Granados’ music at the International Festival „Silesian Guitar Autumn” (1988). From 1991 to 1993 as a scholarship holder of the Mexican Government, he developed his skills under the guidance of a composer and guitarist Ernesto Garcia de Leon in Universidad Autonoma de Mexico and he received the diploma with the highest marks. A direct contact with Latin American culture gave him special assets, namely the knowledge of its characteristic, attractive music and the variety of repertoire. From 1993 to 1997 he worked actively in the artistic field giving concerts in the country and abroad (Germany, Switzerland, Mexico). Since 1998 he has been devoted to pedagogical work. He has introduced many innovative guitar teaching methods. Festival “Gitara viva” in Kielce, The International Competition of Contemporary Children’s and Youth Music “Srebrnaszybka” in Cracow, the International Festival and Competition “Gitaromania” in Jelenia Góra-Cieplice, the National Competition “Young Wizards of Guitar”; in Dobczyce, the A. Tansman National Competition in Kępno, Dąbrowski Guitar Competition in DąbrowaGórnicza. His students also received the Award of the Director of the Centre for Artistic Education, Scholarships of the Director of the Centre for Artistic Education, as well as the Scholarship of the National Children’s Fund (recital at the Royal Castle in Warsaw). For his creative and active pedagogical activity he was appreciated by the successive directors of the Music School in Tychy, who awarded him with the School Director’s awards. For his activity he received a Letter of Congratulation from the Director of Education and Deputy Mayor of the City of Tychy. A significant distinction is the Award of the President of the City of Tychy. He is the originator and organizer of the All-Poland Competition for children and young people “Guitar in chamber music”, which has been held in the Music School in Tychy since 2006. He takes part in the works of the jury of national guitar competitions and conducts workshops and guitar courses for students and teachers. In 2010-2018 the Absonic Music Publishing House published five collections of Mirosław Franczak’s compositions for solo guitar: Moderato poetico, Poematsemplice, Children’s Caprices, Guitar Graffiti and Travel Notes. Works from these collections were selected for obligatory programs in nationwide guitar competitions and used in master’s theses of students of music academies.